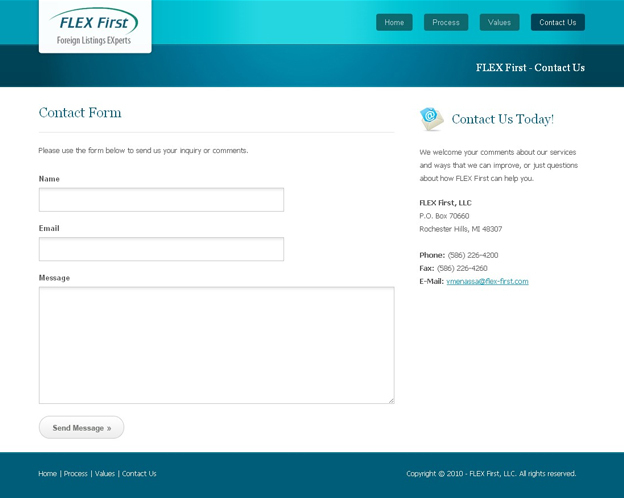 FLEX First, LLC | RDX Solutions, Inc.
Project Description: FLEX First specializes in the consolidation of Telephone Company Bills by using the latest in computer software solutions. FLEX First is an independent company and comes with over 20 years of experience in managing White Page Directory Auditing and Payment services. 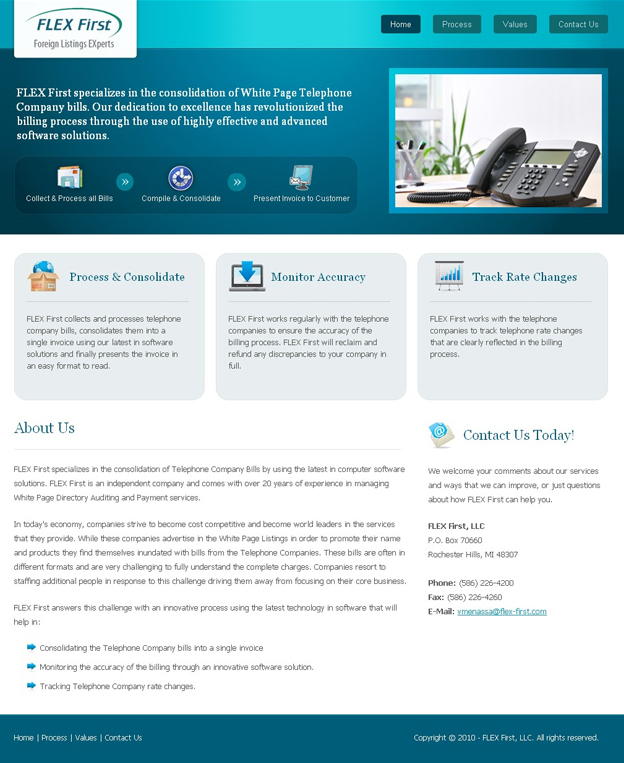 RDX Solutions created a new, fresh, and clean website for FLEX First, LLC. Coupled with a powerful Content Management System, this FLEX First website is tasty and sophisticated.